Make sure you have PHP 7.1+ and Composer installed on your system. YAML files located in app/config configure the app based on parameters and services. The main config file is app/config/console.yml. Before you start, make sure you have PHP 7.1+, Composer and Docker installed on your system (howto for Mac OS X). Instead of using Docker, you can set up your own runtime environment based on the existing Dockerfiles. 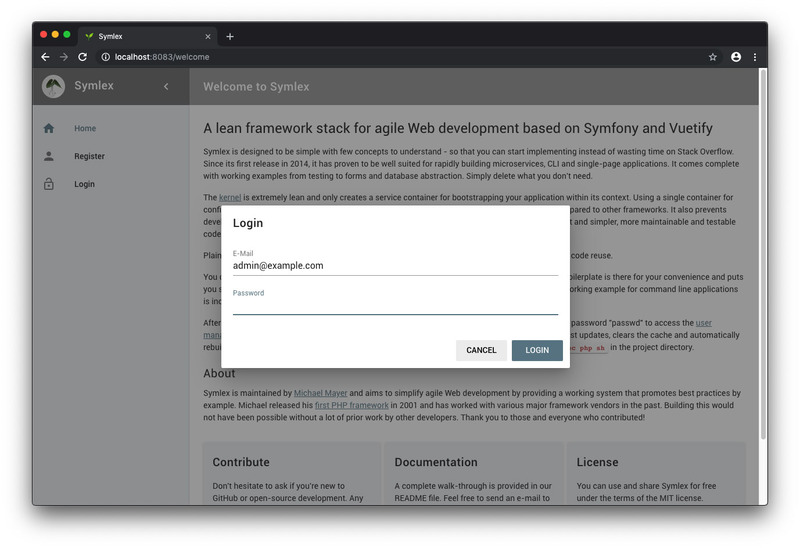 We recommend using Nginx with PHP-FPM and URL rewrite rules similar to Symfony. In addition, you might need a database plus nodejs, npm and yarn to build the frontend. Step 3: Open http://localhost:8088/example/123 in a browser (source). To open a terminal, run docker-compose exec php sh. YAML files located in app/config configure the app based on parameters and services. The main config file is app/config/rest.yml. This docker-compose configuration is for testing and development purposes only. You might need to tweak it if you run Docker with a different user for security reasons. On OS X, the current release of Docker is really slow in executing PHP from the host's file system. You can also use this approach to execute other commands later (see build.xml). Alternatively, you can install npm and yarn locally and link "db" to 127.0.0.1 in /etc/hosts to run them directly on your host. 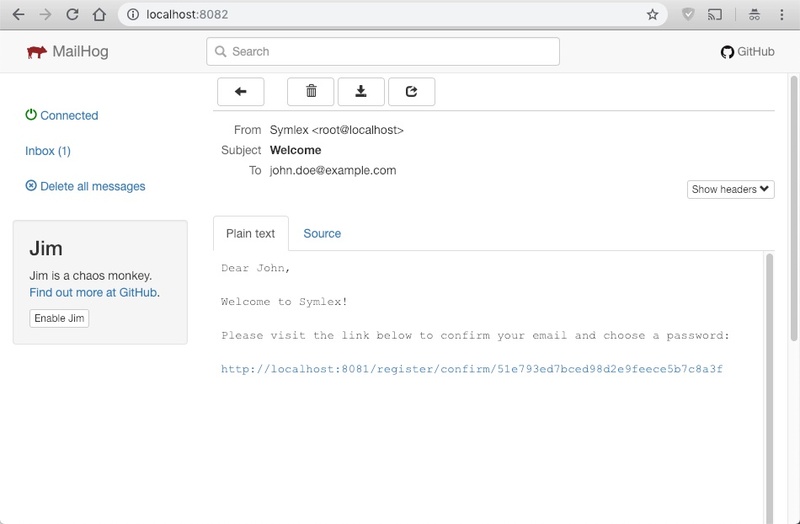 After successful installation, open the site at http://localhost:8081/ and log in as [email protected] using the password passwd.